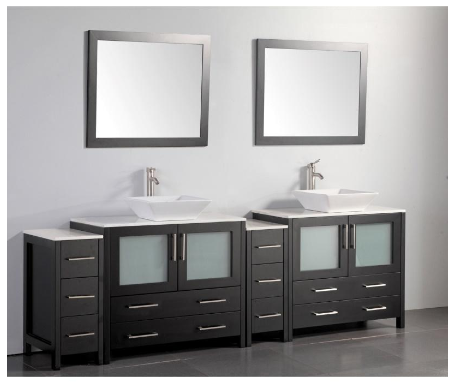 Bathroom vanities, as well, are attractive pieces of furniture. All traditional styles have a finished wooden cabinet below and a real or synthetic stone top, all with several color possibilities. Finishes for the cabinet range from white and light to nearly mahogany dark, while granite and marble, used for the top, come in black, white, and other variations in between.